‘Souls is not a fantasy-styled game. With the exception of obvious scientific liberties where our Luperci are concerned and minor allowances for supernatural specters, most elements of the game can be considered semi-realistic. Members should account for realism wherever possible, whether considering character history, personality, skills, companions, travel, or whatever else. No one wants research-paper quality citations for every roleplaying post — but if you want to do something particularly outlandish, a bit of research and investigation is necessary. So, how do you roleplay realistically? The following resources can help with virtually all your realism-check needs! The Roleplay Information forum contains the must-know information about the game — from the Procedures to the FAQ, there’s a lot of information here. This RP Guide addresses many core aspects of the game in-depth, providing answers and reference material for the many common roleplay scenarios at ‘Souls. The ‘Souls Wiki provides many more detailed guides for a wider variety of concerns and situations, as well as the overarching ‘Soulsverse. ‘Souls resources are there so you can check them later. After over a decade of roleplay, you probably are not the first person to consider a given scenario. Poke around to see what others have discovered for you! 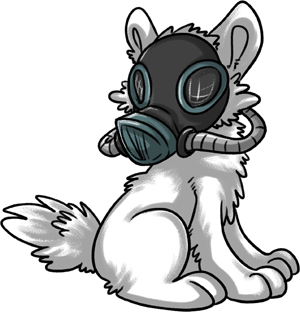 As cute as this is, it’d be nearly impossible for a Luperci to 1) find a gas mask intended for canines in usable condition, 2) know what it’s used for. If you can’t find what you’re looking for amongst ‘Souls materials, Wikipedia is an amazing resource that provides a lot of basic information — many of our materials cite Wikipedia as a source anyway! If Wikipedia itself is not enough, its articles often provide sources. Scroll to the bottom of an article and click some links. You’ll find accredited sources and random web pages alike, but maybe one of them has what you need! Just Google it! Scientists have studied some pretty weird stuff, and you can find a scientific source — research papers, scientific journals, or e-zine articles — for many things. Be careful when looking over question/answer sites though. Remember that anyone can provide answers on such sites, and they’re not necessarily accredited sources — some may even be providing wrong information for a laugh! Ask in the Questions and Help forum if you’re really stumped. Often, someone will assist you, or at least point you in the right direction for research. Many folks are quite willing to evaluate the realism of ideas and can provide a quick response. This option is great when, for example, you’ve already determined if your idea is possible within a post-apocalyptic world, but you’re not sure if it’s something a Luperci would do, or if you’re concerned about the idea’s relevance to ‘Souls in particular. It’s best if you come to the Questions and Help forum with a bit of your own research already done — don’t expect others to do all the work for you! If you’re trying to determine whether or not it is realistic for a Luperci to engage in a certain behavior or whether they can have a particular skill, you can ask yourself a series of questions to help come to a proper conclusion. Does it make sense for a canine to do this? Luperci are canines at heart — they don’t necessarily enjoy or care about the same things as humans. Luperci are not naturally inclined towards advanced subjects like physics, chemistry, astronomy, etc. Their understanding of the world is not as advanced as a modern human. Many may outright reject true, scientific explanations of things. Example: A Luperci with no horse experience will look at a feral horse as dinner, not a pack animal! Are Luperci physically capable of doing this? Some things are simply uncomfortable for a Luperci to do, if not impossible. Some things takes more dexterity and finesse than Luperci have — other things are not possible with a Luperci’s body shape. Luperci are simply not physically capable of the same exact things as humans — with their thick fingers more suited to tear and pull than hold small instruments and place tiny parts. Example: Wearing human-made clothes without special tailoring isn’t impossible for Luperci — but it is extremely uncomfortable for them to do so. Doing so may impair balance and speed. Example: An extremely tall, heavy Luperci not be able to safely explore city ruins as well as a shorter, lighter canine. Why would a Luperci want to do this? Some things are just things Luperci wouldn’t want to do. There’s no reason for them to do it — or it’s too dangerous to do without a seriously good reason. Example: Running water and interior plumbing inside of a home. 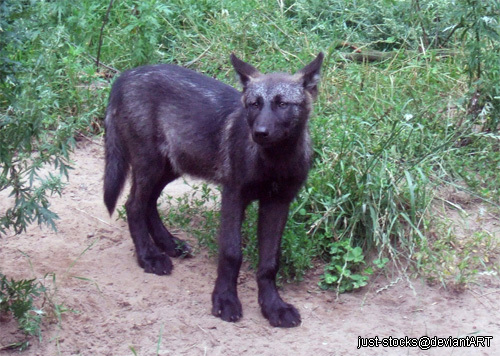 Luperci are canines and are perfectly capable of drinking from a muddy puddle or dirty creek. It’s possible Luperci would use running water for irrigation purposes, or to have a constant supply of fresh water nearby the home. However, it’s unlikely Luperci would ever have a use for complex interior plumbing systems within their homes (and therefore unlikely they’d ever develop). Example: Bungee jumping and skydiving, or other extreme sports where severe injury is common. Luperci may do extreme things in the course of survival — but without advanced medicine, Luperci are highly unlikely to place themselves in positions where injury may occur. 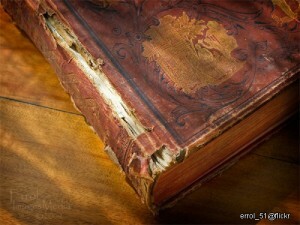 Books are a valid way of learning, but receiving mentorship from a teacher is usually better! Where did my character get this knowledge? Many Luperci can read, but there’s no reason for a Luperci to trust everything they read, and theoretical knowledge is not the same as experience. Some skills are best learned via apprenticeship, spoken word, experimentation, and so forth. Magically acquiring a skill is not possible. Like real canines, Luperci are born knowing how to suckle their mothers for milk and little else. Every skill beyond this must be taught and learned. Though wolves are instinctively inclined to hunt, even these basic survival skills are refined by parents and through young learning. Example: If you want your character to repair a lightning rod on a building — hold on! How do they know what a lightning rod is and what it’s used for? How do they know how to install it? How do they know what materials to use? How do they know how to make it? There are a lot of questions involved in even tasks that seem relatively simple. How advanced is my character’s skill level? Most skills — including “basics” like reading, writing, and how to ride a horse — often require years of studious apprenticeship and study to master. Natural talent and inclination to engage in a particular skill doesn’t mean the character is instantly capable of comprehending everything about that particular skill — even if the character is naturally good at something, they’ll still need time to refine their skills and they should still make mistakes along the way. Example: It’s not feasible for a Luperci to read a book and become an expert glass or metalworker. This skill in particular requires a lot of practice before you even make a working item, let alone a good, useful item. Having a mentor and sharing knowledge can speed up the process somewhat, but experimentation and experience are still necessary. Example: It’s not feasbile for a Luperci to become a Metalworker in less than a few years. Some skills simply take a lot of time and dedication, especially when they are already rare in the Luperci world. This guy doesn’t look like he’s going to pick up swinging a sword anytime soon! Is it technologically possible for Luperci to do this? Some human technologies are simply impossible for Luperci to use: studies of advanced, rare phenomenon (electricity, engines, chemicals, etc.) are extremely rare — as well as limited (e.g., theoretical studies only). For those rare few canines who do study these rare things — they are highly unlikely to uproot and move to a relatively “backwater” place such as ‘Souls — they’d stay put and keep practicing their skills! So it’s very unlikely a canine would study these things in the first place, and canines who do study these things are even less likely to show up at ‘Souls. 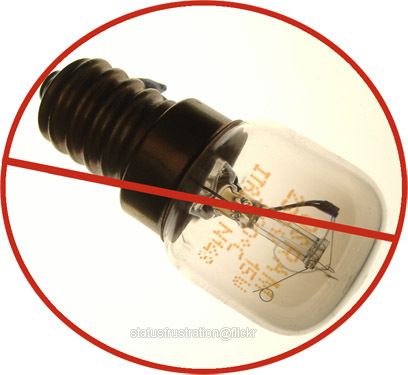 Example: It’s simply not possible for Luperci to have working electricity, nor is it possible for them to synthesize advanced chemicals. Canines lack the infrastructure to have electric grids and power, as well as the knowledge to repair said grids. Advanced chemicals require processes unknown to Luperci. The technology available to a given Luperci depends a lot on their location and upbringing. Most Luperci populations in the Americas remain relatively feral, though some have begun adapting to more humanized lifestyles and learning to use tools and techniques brought over by European traders and explorers. Many Luperci-made tools correspond to those from the Neolithic period. However, the most advanced populations may be capable of using scavenged or partially scavenged technologies from the Bronze Age through the Middle Ages. More humanized Luperci lifestyles may involve responsibilities like raising livestock, growing crops, and building homes. One thing to keep in mind is the fact that it has only been about twenty years since Luperci came into existence with the ability to stand on two legs and use opposable thumbs. This is not really enough time for Luperci to either 1) develop significant technology on their own, or 2) learn how to read human texts and find an intact written source to learn from and actually learn that skill. Human knowledge has accumulated for centuries and we take many aspects of our knowledge for granted. Fundamental concepts in many sciences are obvious to us — we know that gravity exists (physics), we know that heat softens metals (chemistry), we know that plants contain both helpful and harmful components (biology) — but they are things that a canine would not know innately, so they are things a Luperci would need to learn before doing things like mastering projectile weapons (physics) or metalworking (chemistry) or creating medicines from plants (biology). Advanced technology, including electricity, synthesis of chemicals, etc. is not permitted. ‘Souls does give a fair bit of leniency in regards to these points — after all, how long did it take for you to learn how to read? And how many years of reading did it take before you could really comprehend writing on things like plant biology and raising livestock? Before you could understand enough to try to apply the knowledge? At least ten years, right? Probably more? Luperci, even with their lengthened lifespans, do not live very long compared to humans. As such, they do learn and pick things up at a faster pace, but faster does not mean immediately, and mere comprehension on a subject does not equate expert knowledge or skill. Over time, as younger Luperci grow up in communities which have already adapted to some level of humanized normalcy, the learning curve for many skills, like reading, may diminish. All the same, it bears repeating that Luperci are still canines, and the ceiling to their desire and ability to become more humanized may not be far off.